After a year and a half of sending out short stories and a lifetime wanting to see my work in print, I am now a published author! You may remember me talking about my short story being accepted for publication. I shared about it here and here. Well, now the book is available. The picture above is the front cover. I cried happy tears when I saw it. My name is about half way down in the right-hand column. I swear I stared at it for about ten minutes. So let me back up and tell you a little bit Curating Alexandria. They are a new publication and they publish stories about mythology, fairy tales, and lore. I found them on Submittable, a site I use often to find places to submit my work. 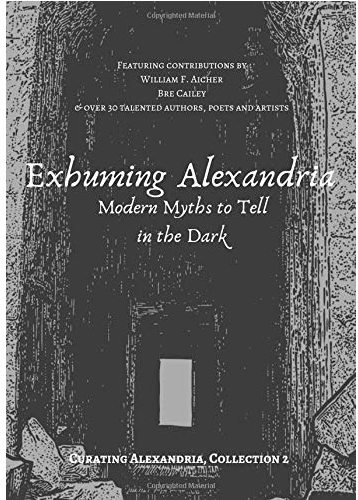 At the end of August, just before my birthday, they told me they wanted to publish my story as part of their Halloween edition, Exhuming Alexandria. I got the idea for the story from The Crownsville Hospital Center that I pass by on occasion. When I found out its history and that Henrietta Lack’s sister was also housed there, my imagination started spinning and Morbid Curiosity was born. I’m anxiously awaiting my copy to arrive in the mail. 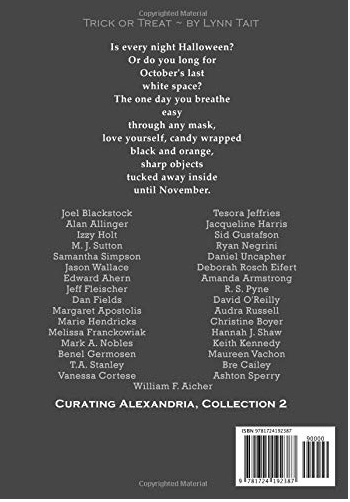 If you’d like to read my story, along with all the other wonderfully spooky stories in this Halloween anthology, you can get it on Amazon for your Kindle or in paperback form. I am so beyond excited for this milestone in my writing career and I am confident that I’ve only just begun. Thank you for sharing this momentous occasion with me. Congratulations, Audra! It’s an exciting time for you and I’m happy your dream came true. I’m happy for you, Audra! Just ordered my copy😊. Thank you, Leslie, and thank you so much for your support! It means so much to me. Yay!!!! I’m so thrilled for you!! !